TUESDAY, Sept. 23, 2014 (HealthDay News) -- Fear of losing your job can increase the risk for developing asthma, according to a new European study. The study involved more than 7,000 employed adults in Germany. Between 2009 and 2011, during the economic downturn in Europe, the workers answered questions about the respiratory disorder and also on whether they thought they would lose their job within two years. 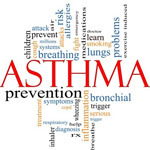 More than 100 new cases of asthma were diagnosed among the survey group, half of whom were women, during the study period. The researchers noted that for every 25 percent jump in job-related stress, the risk for asthma also increased by 24 percent. The risk for asthma surged to 60 percent among those who thought it was highly likely they would lose their job. The participants who thought there was a high probability of losing their job within two years tended to be younger, less educated, unmarried and have a lower monthly income than those who felt the prospect of being jobless was low or nonexistent, the researchers found. Those who feared job loss were also less likely to be under permanent contracts and more likely to suffer from depression. The findings were published Sept. 22 in the Journal of Epidemiology & Community Health. Although the study doesn't prove that job-related stress causes asthma, the researchers noted their results are in line with other studies that suggest it may be a risk factor for the development of asthma among adults. "Our findings may also provide a possible explanation for the increased prevalence of respiratory symptoms during the recent economic crisis in the U.K.," the researchers wrote in a journal news release.